Coffee. Most of us can’t live without it. It’s the fuel that gets our day off to a good start and the pick-me-up we need in the middle of our afternoon slump. Now that the temperature is dropping, there’s no better place to relax than inside a cozy coffee shop. Check out some of the places to grab a coffee in BN! 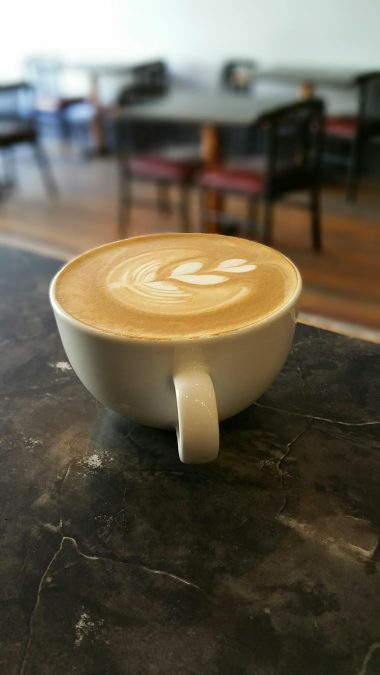 This locally-owned coffee house passionate about coffee, community, and their cafes. Their two locations are extremely convenient for visitors of Uptown or Downtown! Since 1996, the Coffee House and Deli has been serving its customers hot coffee, breakfast and lunch. Its menu features more healthy and vegetarian options. This is also a stop on our David Foster Wallace tour. Fusion Brew is a specialty drink café that bubble tea, Western tea and espresso drinks. They also serve a variety of pastries, cinnamon rolls and brownies.